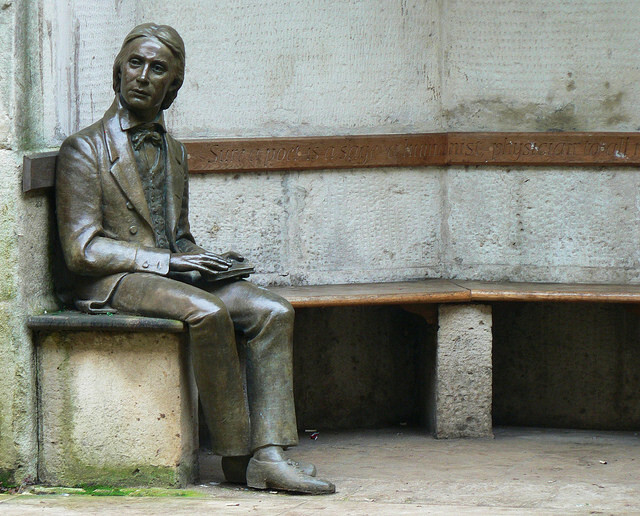 John Keats was born on the 31 October 1795 and died on the 23 February 1821. He was an English poet who is considered one of the major writers of the Romantic movement. In his brief life his work was not well received and was disdained by many periodicals of the day. However in death his influence on poets such as Alfred Tennyson and Wilfred Owen would be extraordinary. His poetry consisted of a an eloquent use of words and depictions of sensual imagery this is most evident in his series of odes . He is today one of literature’ s most celebrated writers.